This is the most exciting time to be in India as the world’s most expensive elections will take place next month, but sadly my wife and I cannot vote. Indian Prime Minister Narendra Modi, has gone on Twitter and has appealed to everyone to vote, saying it is not only their right, but also their national duty. He has appealed to leading Bollywood movies stars such as Salman and Aamir Khan who have a huge fan following, to motivate people to get out of their homes, and go to the poll booths. Salman who is also a famous face across the world because of the growing Indian diaspora in many countries, had to give a clarification after telling people to vote, that he has not joined the prime minister’s party, the BJP, and that he was only asking people to go and elect the leaders of their choice. Though Modi has a huge Twitter following; he is one of the first Indian prime ministers to realise how big a reach social media has in this vast and diverse population, and his party’s IT (Information Technology) team has been the first to use it very effectively to garner support and votes. Still, Bollywood movie stars and cricket celebrities are more popular in this teeming, bustling, colourful country. I am sadder than my wife at not being able to vote in this very exciting, make-or-break elections, as I usually like to be in the thick of things, so to speak. 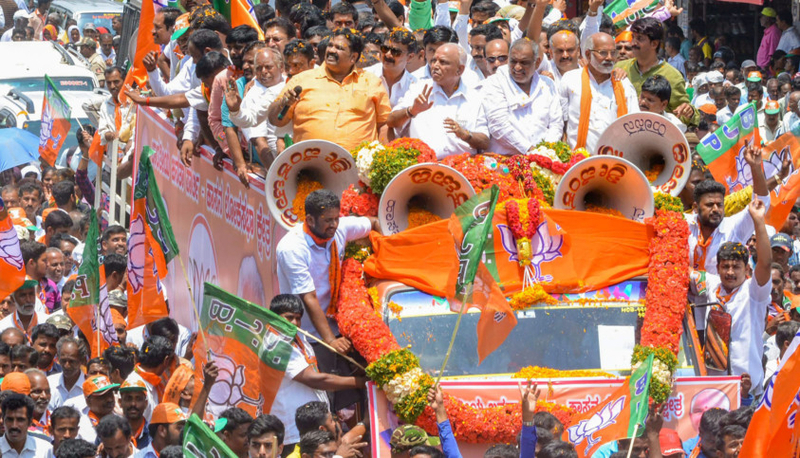 It would have been informative and educational to stand in line at a booth in say, Yelahanka, Bengaluru, and listen to people and interact as they decide on who should run the country. The reason why my wife and I cannot vote is because both of us have given up our Indian citizenship. My wife did not like the idea of giving up her citizenship but had to as India does not allow dual citizenship, which I think is not fair as many countries allow you to hold passports of other countries. I must tread carefully here, because being a Canadian-Indian is not such a hot idea today and even Akshay Khanna, a top Bollywood actor, who has starred in patriotic movies and in films that have pushed the idea of a clean and healthy India, still gets negative vibes from many Indians. I presume that is so because he holds a Canadian passport, and people see that as abandoning the motherland, even though a huge number of Indians go out of the country and work in foreign lands. Giving up Indian citizenship is like an American saying that he would rather go across and live in the winter-wonderland of Canada than be an American in a country that is run by Donald Trump, who came to power despite not being the first choice of most people. The Indian elections start on April 11 and continue for a little over a month till May 19. People will choose who will constitute the Lok Sabha or the Lower House of Parliament. Getting millions of Indians to vote is a Herculean effort. There was a report that some poll officers would have to even trek for a day over dangerous terrain in a district in Arunachal Pradesh state, bordering China, to reach a lone citizen living there with her children, so that she can exercise her franchise. If you wish to know more about what the Indian poll officers must endure, I recommend watching the movie, Newton.